Bhubaneswar: Josh Talks is a knowledge sharing platform that showcases the best ideas & stories from across India. Through conferences, Josh Talk bring together speakers from diverse backgrounds like Science, Design, Entrepreneurship, Technology and more on to one stage, to present their stories and ideas to a live audience with a goal to inspire them. Over the last two years, Josh Talks have organized over 30 conferences in 20 cities in India and reached more than 120+ million people online. On the 27th of October, 2018, Josh Talks in partnership with Startup Odisha and Facebook will provide a platform for entrepreneurs in Cuttack to come together and discuss strategies for business growth. 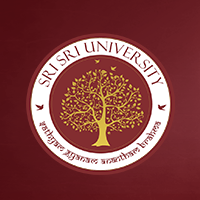 The venue is at Sri Sri University. The #Boost Your Business workshop, by a certified Facebook trainer, will provide businesses with the most up-to-date tools, insights, and practices for growing their business through platforms like Facebook and Instagram. i.Dr. Anita Sabat: Be it Flipkart, Snapdeal and Amazon, or an exhibition in Australia, Woman entrepreneur Anita Sabat is promoting Odisha’s handlooms and textiles worldwide. ii.Susant Pattnaik: An innovator, entrepreneur, and co-founder of a company at 24, Odisha boy Sushant Patnaik is inventing technology for the world to see. iii.Vikash Das: Vikas Das is the founder of Vat Vrikshya, a social enterprise that has helped more than 368 tribal families in Odisha. His journey from an IT job at IBM to solving problems of the tribal communities will leave you surprised. iv.Sakyasingha Mahapatra: What it took for Sakyasingha Mahapatra to create SakRobotix, one of the most exciting & fast growing robotics company of India was- a B.Tech degree, technology, methodology, and a dream.